Organisations have more options than ever before when choosing where to deploy their applications which can make it difficult to understand which option is the most economical and efficient. This is exactly where an ANS Assessment can help. ANS Assessment Services can help you identify areas for improvement that will help to drive your business forward while enabling you to determine the journey you need to take in order to successfully deliver on your business ambitions. 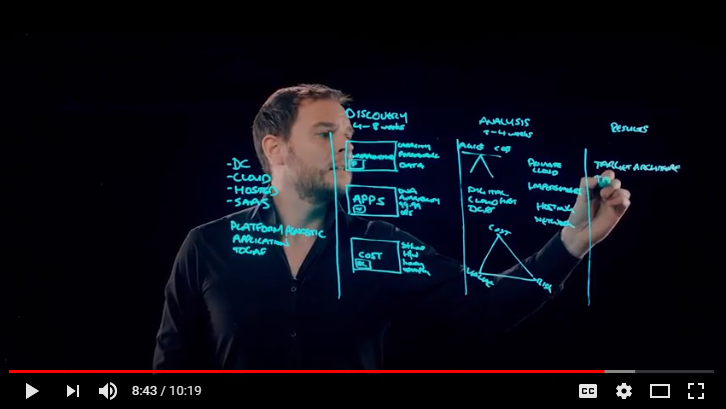 In this Lightboard Series, ANS’ CTO, Andy Barrow explains why an ANS Readiness Assessment is crucial in enabling organisations to clearly define the best strategic direction for their IT environment.